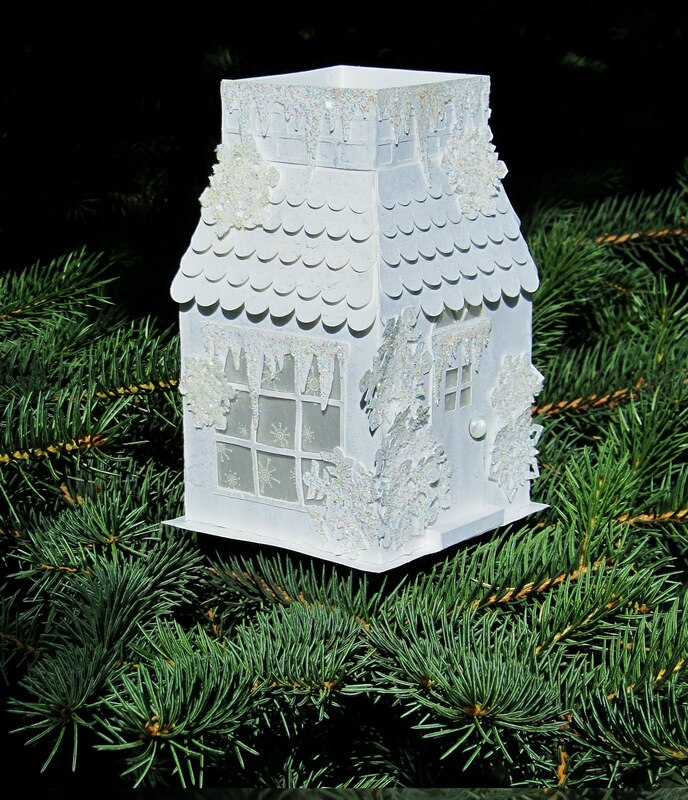 I just had to take this outside and photograph it in the spruce tree. I have been playing with my cutter this week. 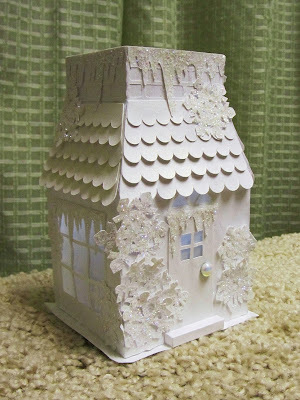 I had a ball making this little Christmas Cottage Lantern from the Summer Lantern file from SVG ATTIC. This winter version was my take on it. The snowflakes and icicles were created from some free clipart I found online. I just had to add lots of bling with glimmer mist, art glitter, and Rock Candy Distress Stickles to make it even more frosty. I only wish the camera could show all the sparkly goodness. It has snowflake vellum in the window and glittery snowflakes on each side. 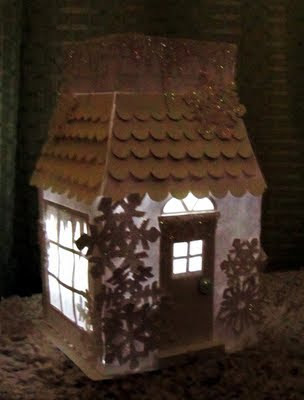 A battery operated tea light makes the windows glow. Photo taken in a darkened room with no flash. Wouldn't these be fun centerpieces for a winter wedding or Christmas party? oh my. this is so pretty and delicate. I would love to have my whole tree covered with them!! That is beautiful! Love the all white look and so detailed! Great work!